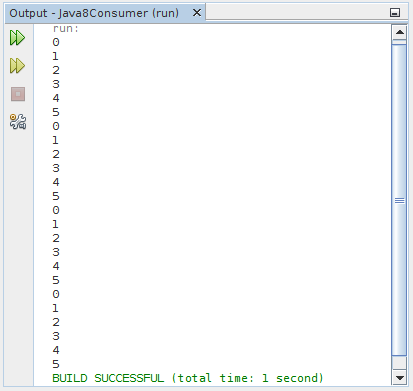 Java 8 introduce java.util.function.Consumer, a functional interface and can therefore be used as the assignment target for a lambda expression or method reference. This example show ways to print all elements in a List. Also show how to implement our Consumer.